The 2018 Hyundai Sonata Limited Review: Understanding the 2018 Hyundai Sonata requires a short history lesson. At the start of this decade, Hyundai began selling its sixth-generation Sonata that turned out to be a huge hit in the United States. That 2011 model was the first Sonata I’d characterize as a good car, compared to its ancestors that worked their way up the descriptor ladder from “truly awful” to “good for the money.” Here was a Sonata that, as I recall, was the first Korean car I’d ever driven that felt better than the strongest Japanese and American products in its segment. It also was spectacularly good looking. Designed with the American market in mind, it had a swoopy, eye-catching, elongated look that turned heads and reminded buyers just how much Hyundai’s cars had improved since their econobox days in the 1980s and ‘90s. It wasn’t your father’s Hyundai, and the body showed it. When a new seventh-generation Sonata hit the market in 2015, though, all those swoopy lines disappeared. Its comparatively featureless styling could easily be confused with, say, a Honda or a Volkswagen to the untrained eye. Well, for 2018, the swoops are back in a big way. 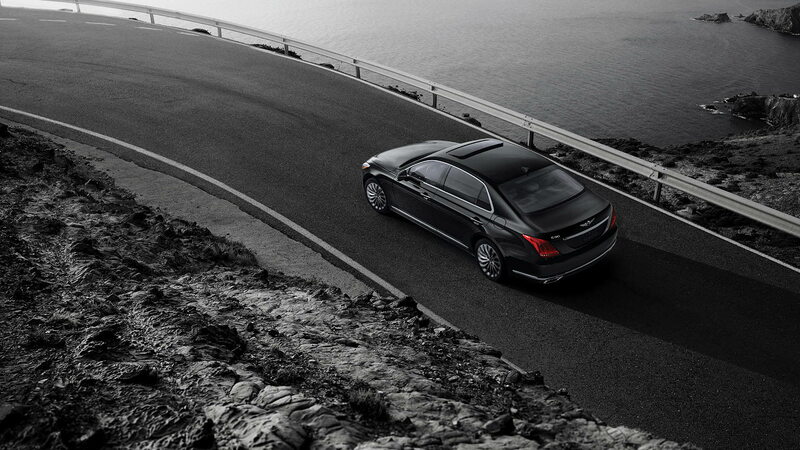 With a major restyling this year, the Sonata catches eyes more like that groundbreaking 2011 version once again. While it’s not an all-new car, significant changes to the hood, fenders, trunk, headlights, taillights and front grille make it look like one. Changes underneath the skin are noteworthy but more subtle. Handling is a bit more responsive thanks to a stiffer torsion bar, different steering calibration, thicker trailing arms and new bushings. An eight-speed automatic transmission is available on 2.0-liter turbocharged models. Inside, there’s a new design for the center stack and a contemporary-looking, three-spoke steering wheel that replaces the old four-spoke version. Technology is better, too, including a faster processor running the navigation system, a new bird’s eye view mode, real-time traffic information and wireless phone charging available. A rear-seat USB port, something that’s becoming vital for travelers today, is also available for the first time. It comes standard on the SEL trim and higher. Unfortunately, the active safety features that are starting to become common at this price point aren’t available on the base models. Lane keep assist, radar-based cruise control and automatic emergency braking are only offered on the higher-level trims. That could become more critical as competition heats up, including a new Toyota Camry and Honda Accord launching this year. Pricing starts at $22,050 for the base SE grade and ranges up to $32,450 for the more luxurious Limited turbo version. What was tested? 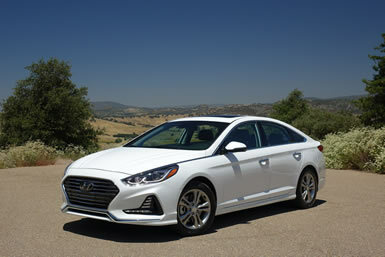 The 2018 Hyundai Sonata Limited with a base price of $31,310. Options on the test car: The Ultimate package for $2,900 and carpeted floor mats for $125. The total MSRP price as tested including the $885 destination charge came to: $35,220. Why buy it? A major redesign helps the Sonata regain its visual swagger. It already had a distinctive, refined driving feel, and now it looks the part. The Bottom Line: The new 2018 Hyundai Sonata Limited with the new redesign makes this sedan more eye-catching and dramatic than ever before. The Sonata gets a dramatic visual makeover for 2018 that makes it look bold and aggressive once again. It’s the most distinctive look for this car since its landmark 2011 version debuted. A new layout for the center stack and a more contemporary-looking steering wheel are among the changes for the Sonata’s interior. For buyers who need a comfortable, reasonably efficient four-door car, the Sonata continues to check all the right boxes. It’s one of the quietest cars in its class, has a technology interface that’s faster and easier to use than most of its competitors, along with a standard blind-spot detector with rear cross-traffic detection. And maybe, just for those reasons alone, you should “Drive one, Buy one, Today ©”.